I need to find the person who wrote this and ask them, "Why!?! WHY?!? 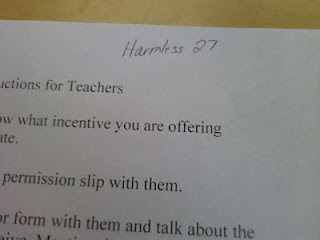 Why did you write Harmless 27?" Added "awesome" You need to come back and click it! I've clicked it so many times, haha.